Also notice our new feature we have added. You can now check the deals you want to take advantage of and then hit print at the bottom of the post. You will get a shopping list with all the deals you have checked! 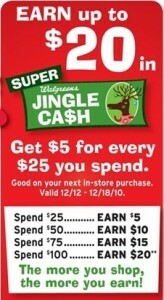 This week is the start of a super jingle cash.Remember Jingle Cash is just the fun holiday term for Register Rewards! One important note is that you can only use these in store 12/12-12/18! Pay $10.50 and get a $5 RR back. Makes them .55 each. *Might as well grab a few extras for your child’s teacher at this price. *There is a Walgreens coupon book some people have found at the cosmetic counters called Everything Bright and Beautiful. If you find it, there is a $1 off coupon which makes these free. 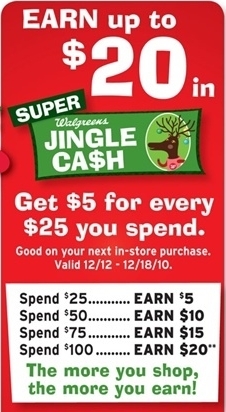 the super jingle rewards is indeed before coupons!! thanks coupon dad for doing what you do. Is that coupon for hellmans printing for anyone else?